Could DAM software innovate your approach to product marketing? Any self-respecting company knows that your products are more than just objects. They are a representation of your brand; that's why so much effort and investment goes into product marketing. However, many organisations find building and launching multichannel product marketing campaigns a challenge. And one of the most common reasons for this challenge is that companies lack the digital file sharing software to easily manage campaign assets, and roll-out new materials. For a truly seamless approach to campaign development, companies need to look at the benefits of bringing Digital Asset Management (DAM) software into their business. Communication is key to any good marketing campaign, but this is difficult to achieve without a centralised way to upload, store and share vital materials. However, not every Digital Asset Management (DAM) software solution offers these features - or has even been designed to meet the needs of product marketers - which is why marketing teams must carefully research which product is best for their business. The saying 'it's not what you know, but who you know' is important to bear in mind when choosing a DAM software provider. Look for technology companies with experience in the product marketing industry, whose solution has been proven to work for well-known marketing brands and agencies. Another key thing to identify is whether the DAM software company is constantly innovating; just like product marketing, this technology should never stand still. You should also consider open source software vs proprietary software and what's best for your company. Before committing to a software partner, it is important that product marketers ask themselves whether the company in question can help them to achieve the most important thing of all: a consistent brand perception. With the right DAM software solution, marketers should find it much easier to coordinate asset development, share approved files with execution teams, and communicate transparently, to quickly and easily deploy new, on-brand materials. Not only that, but the sharing, reviewing and approval process for launching new product materials should become much easier, with everyone collaborating through a single digital touch-point. ResourceSpace's software has been built for the needs of product marketing teams, to simplify, speed up and increase the standard new campaigns. With our solution, marketers will be able to work more closely with key campaign stakeholders (including external suppliers), share approved work quicker, and ultimately make it easier to launch branded marketing campaigns. 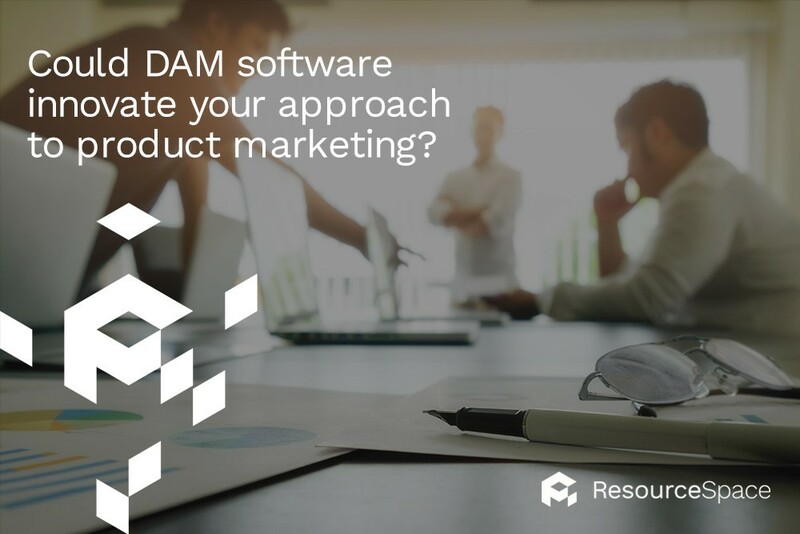 See how the right DAM software can transform your product marketing strategy: take a free ResourceSpace trial or find out more about ResourceSpace for product marketing and the benefits it can yield.